This glaze is absolutely amazing, you won't be disappointed! For presentation, serve on a bed of greens and surround with orange slices. Preheat oven to 325 degrees. Place ham in a roasting pan. 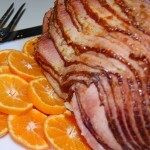 Ham should be flat-side down. Cover tightly with aluminum foil to help retain moisture. Bake 12-15 minutes per pound or until heated through (approx. 2 hours). Do not overcook. Meanwhile, in a saucepan, whisk together glaze ingredients. Bring to a boil, lower heat and simmer 10 minutes, stirring occasionally. 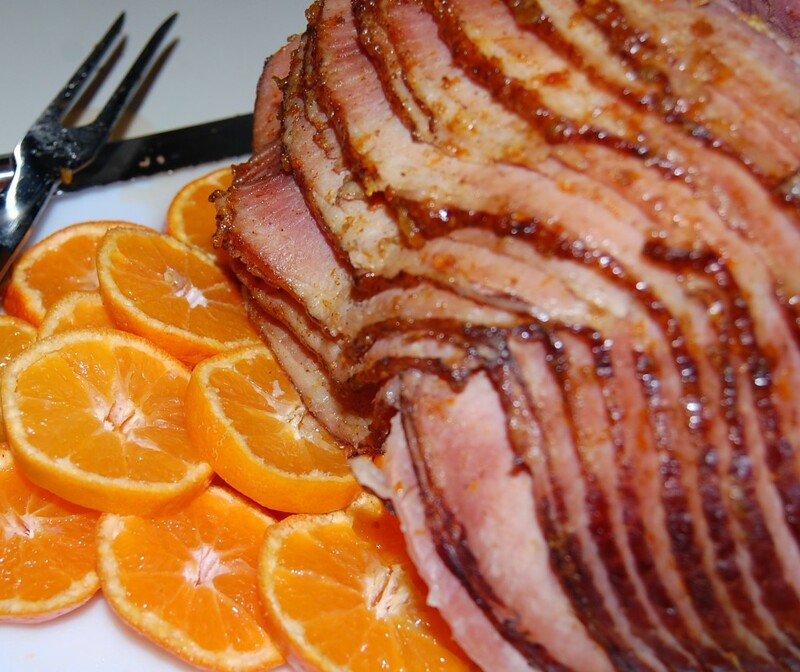 When ham has baked two hours, remove foil and brush or spoon prepared glaze over ham, continue doing so every 10 minutes while baking for an additional 30 minutes. Remove ham from oven, let stand 10 minutes before serving.